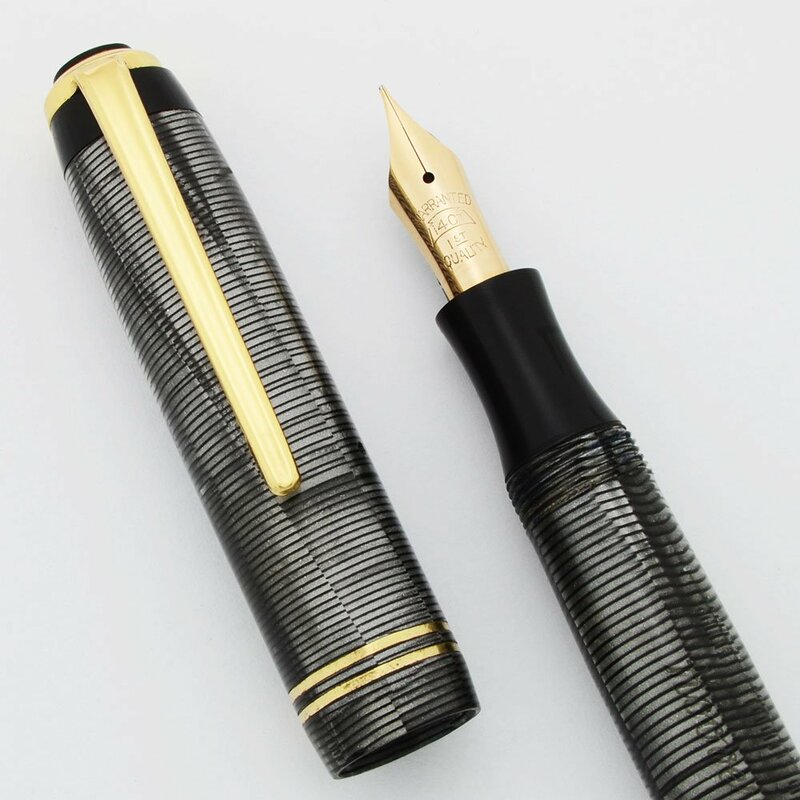 Hoover de Luxe grey striated fountain pen with gold trim and button filling system. 14k Warranted nib. Excellent condition. 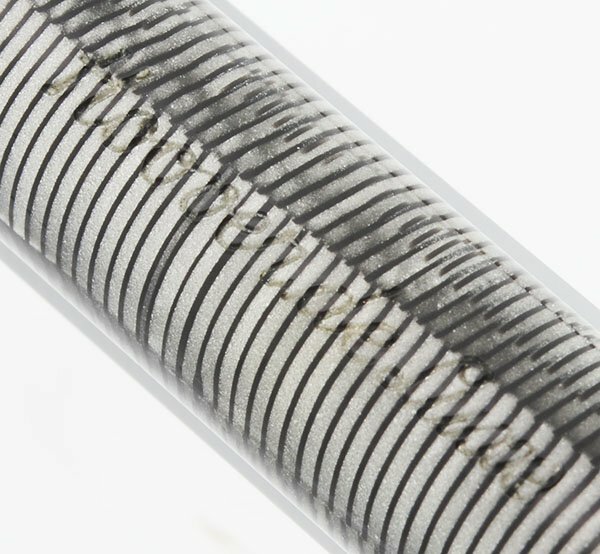 Manufacturer and Year Hoover pens were made exclusively for Miller Pen Co. in Denmark. Pens were made by Mertz und Krell (later Senator) and Osmia and imported to Denmark under the Brand name Hoover. Color Grey horizontal striation, with color ranging from pale grey, to steel grey, to dark black. Gold plated trim. Two thin gold cap band lines. Black jewel on the top of the cap. The twisting mechanism that reveals the button filling system at the end of the barrel is black. Condition Excellent condition for this handsome grey pen that has interesting striated patterning. There is light scratching throughout. There is one small scratch to the right of the top of the clip that you can feel with your finger. The cap band trim and the clip ring have some plating wear. The cap jewel is in very good condition. No cracks. The imprnt is clear.